Jnane Tamsna is a worthy foodie destination outside the walls of the historic town within a locally operated boutique resort in the Palmeraie. Through an ornate compound alit in lanterns and evening candlelight, a courtyard dining room sits in front of a crackling fireplace well spaced from other diners. 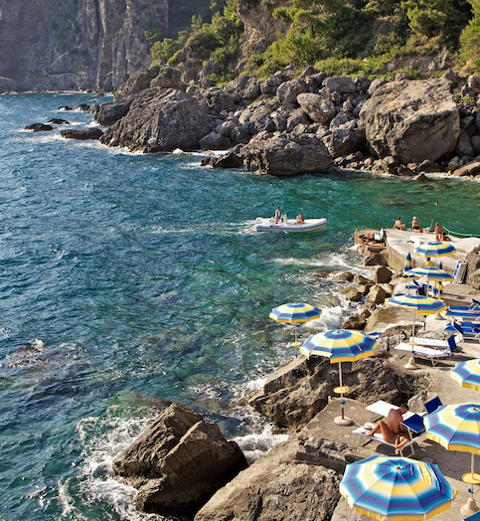 Outside, a dramatic terrace sits under a canopy of palm trees with air scented by nearby orange and jasmine blossoms. Service feels refreshingly familiar, more like a private residence than actual hotel. 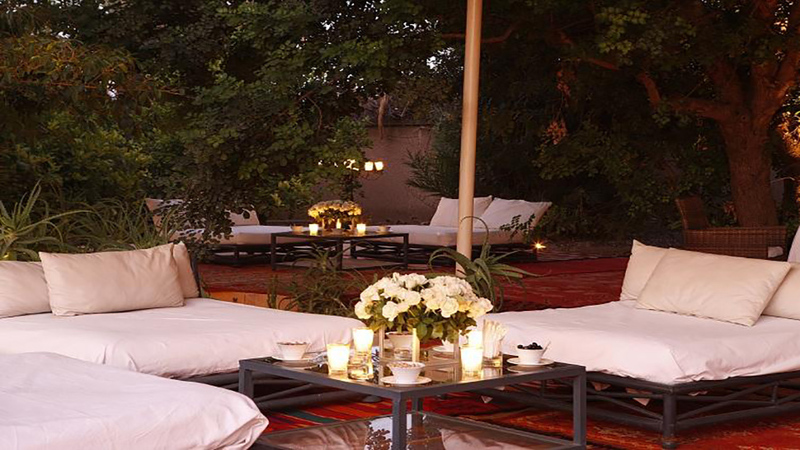 And as nightingales sing by one of the property’s five pools, dinner proves one of the best in Marrakech. Open daily for lunch and dinner by reservation, a set menu features contemporary Mediterranean cuisine accented in North African spices. A truly home-cooked meal with locally grown organic ingredients, often from the property, delivers incredibly fresh mezza salads followed by grilled meats, classic tagines and slow-roasted that wow in their spare preparation and incredible flavors. 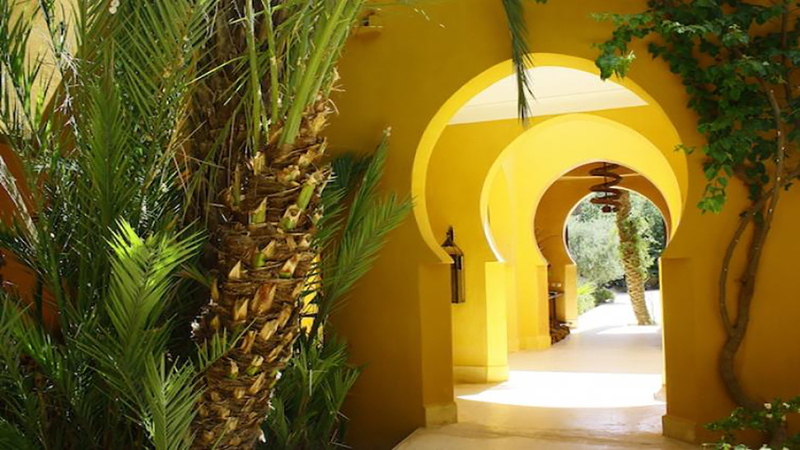 Family-owned riad with hotel, spa in Palmeraie offers incredible farm-to-table dinners serenaded by nightingales and candlelight. 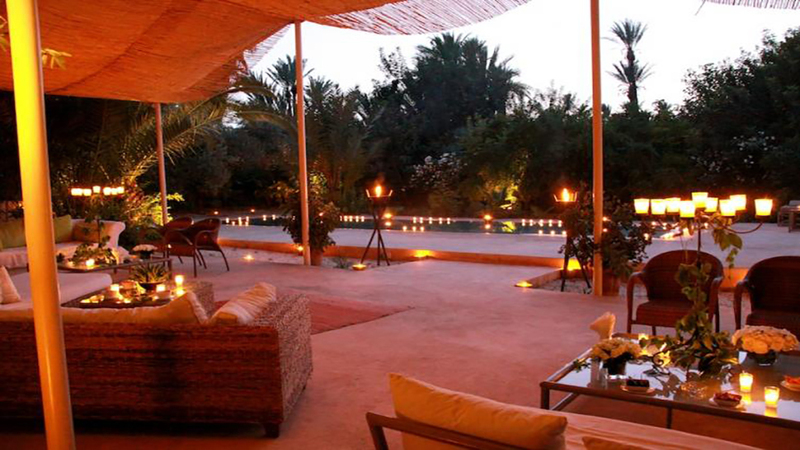 Morrocan fusion in lovely, romantic garden beneath the stars.